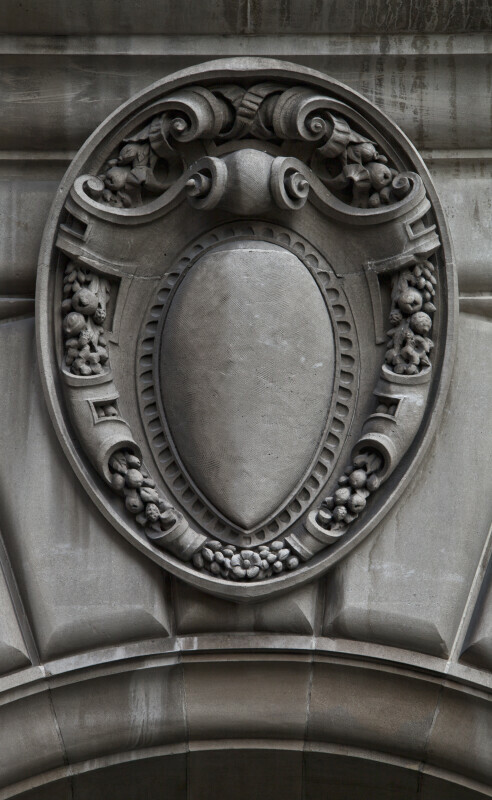 This cartouche is superimposed on the keystone of the arch above the main entrance to the Ingraham Building. The material is limestone, from Indiana. This building is listed on the National Register of Historic Places.